With two revolutions in the last three years, sky-rocketing unemployment rates, a deteriorating economy and national security threats, Egypt is barely holding on. Months after the 25th of January revolution, Egyptians experienced the aftermath of the mass protests that brought down a dictatorship that had descended from one military leader to the next. 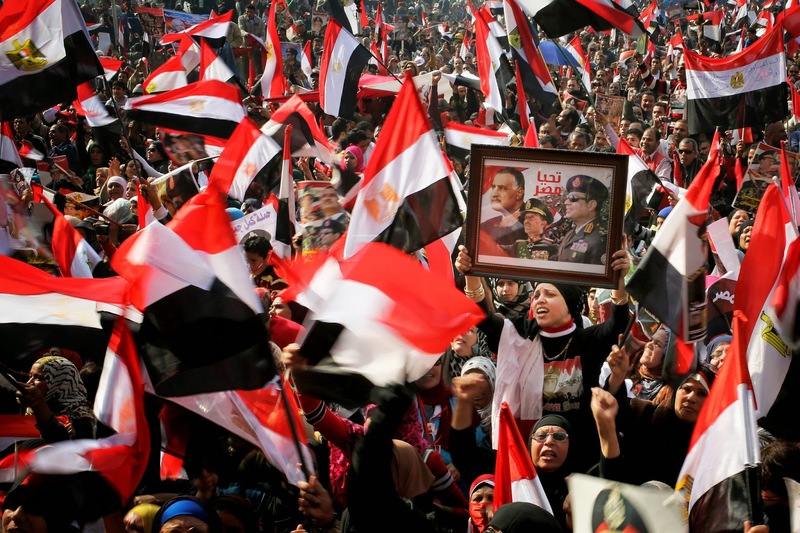 Shortly after the toppling of former President Hosni Mubarak, Egyptians realized that the road to democracy and stability will not be a walk in the park. In fact, terrorist insurgency and a stock market currently built for disaster mark as a reminder for Egyptians the price they have to pay for democracy. Today, eight months after Egypt’s second revolution, Egyptians have caught the famous Sisi-Mania, with citizens, politicians, military leaders, government officials and even friendly allies supporting former Field Marshall and Presidential Candidate, Abdel-Fattah El Sisi. Sisi, who has been regarded as Egypt’s ‘hero’ and ‘savior’, successfully managed to win the respect and admiration of Egyptians through assisting millions of anti-Morsi and anti-Islamist Egyptians oust former President Mohamed Morsi on June 30th, 2013: a day that went down in history as Egypt’s second revolution aimed at democracy. Sisi, who has managed to shun the limelight for most of his career, has experienced a surge of popularity that seems to have happened overnight. With the June 30th revolution ridding Egyptians of the Islamist episode of dictatorship Egypt was about to air, Sisi rose as a symbol for hope and strength. At a time where Egyptians were desperate for a platform to be heard and another chance at democracy, Sisi, along with the Egyptian military, provided that. As a result, a cult-like widespread Sisi-Mania took the streets turning Egyptians to hopefuls once again. 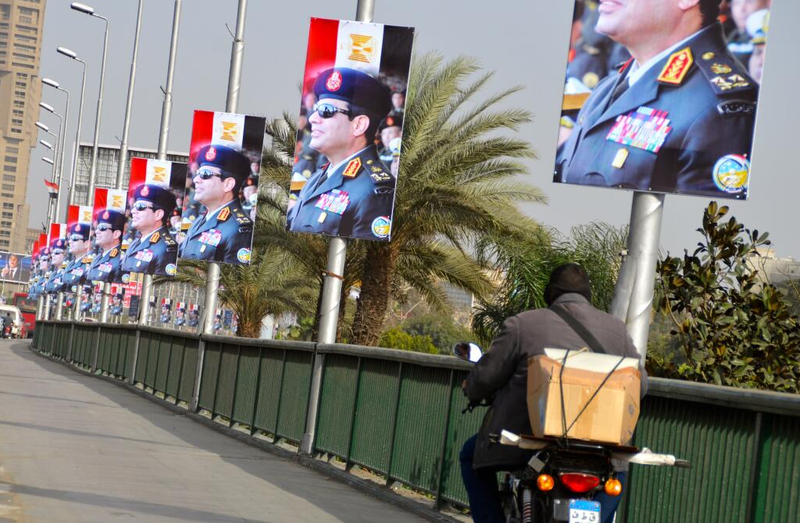 Posters in support of Al-Sisi on one of Cairo’s most busy road ways, the October 6 Bridge. Despite Sisi’s supporters amounting to the majority (51 percent according to a public opinion poll conducted by the Egyptian Center for Public Opinion ‘Baseera’), little have actually formulated an educated opinion on why Sisi would be an optimal choice for Egypt. After Sisi’s announcement to run for president, speculations on the validity of this new found fame and respect spread through Sisi skeptics. Some of Sisi’s skeptics accused him of trying to steal the revolution, despite being the one who assisted its continuation. Not only are there concerns about Sisi’s intentions to run but there are also concerns about his loyalty to the revolution. Hamdeen Sabbahi, the first presidential candidate to announce his presidency campaign and Sisi’s nearest rival, has recently voiced his opinion about Sisi claiming that a lot of the figures that are linked to corruption are by his side. He has also expressed concern regarding Egypt’s future as a democratic state under Sisi’s rule, despite mentioning that Sisi and the Egyptian military played a vital role in aiding the 30th of June revolution. Yet, allegations as such are arguable with the success of the June 30th revolution in toppling Morsi and taking a stand against terrorism. If anything the man has proven his loyalty to the revolution and patriotism towards Egypt by supporting the will of the people to remove Morsi and to restore order and stability to streets all over Egypt. “The will of the people.” A term sarcastically repeated by Sisi skeptics whose views ultimately overlook the substantial number of Egyptians who are pro-Sisi and pro his candidacy. It is undeniable that Sisi has a strong support base and that there are millions of Egyptians advocating his current position in Egypt’s political arena. In addition to the concerns raised by Sabbahi, there is no possible way that the autocratic regime that preceded the 25th of January revolution would ever make a comeback. Today, Egypt’s next president faces a different set of burdens than did those who preceded him. If those demands are not met with immediacy the candidate would not last long because neither will Egypt. The Egyptian people will also not allow it. They have evolved into smarter, more educated (in terms of their rights and their right to freedom) and mobilized citizens that are not willing to give up their dreams for anyone. “Whoever Egypt’s next president is, nobody can return Egypt to its state prior to the January 25 Revolution,” said Sisi to local media. Many of Sabbahi’s supporters have highlighted that Sabbahi’s campaign is one that prioritizes the poor. Sabbahi, a Nasserist, has highlighted his strong ties with the working class. Yet, Sisi has not just highlighted his concern for our youth and their growing economic crisis, but has also begun taking measures to eradicate those concerns. Amr Moussa, who headed the committee that drafted the 2014 Constitution and a close ally of Sisi, gave some insight into Sisi’s presidential program in March. Moussa, who was a presidential candidate during the 2012 elections that granted Morsi power, revealed that the main focuses of Sisi’s program would be to reconstruct the Egyptian state based on modern principles with respect to the 2014 Constitution and to enlist the people in his plans for broad development while attaining social justice. 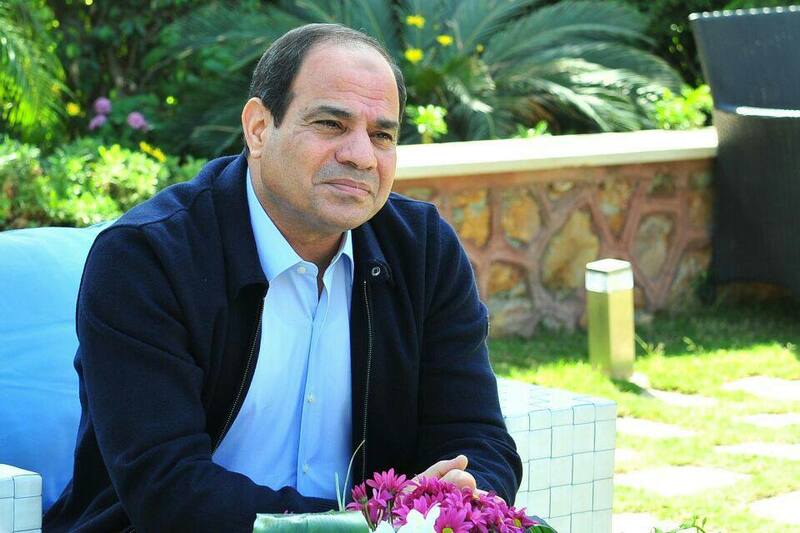 Under his leadership, Sisi will focus on restoring order and security, reducing poverty, improving quality of life for citizens, strengthening and challenging the middle-class and restoring state institutions. His program also takes into account plans for human resource development and urban development while fully exploiting Egypt’s resources, specifically water and energy sources. Yet, Sisi has not waited to become President to implement his vision. As the Military Chief, he announced the launching of a low-income housing project that will establish 1 million housing units to aid the Egyptian youth’s growing financial frustration. The project will target low-income citizens and will include 28 medical centers, 100 schools and 25 storerooms. In addition to providing affordable shelter, this project will aid the economic development in Egypt by providing employment for youth by creating over a million jobs. Furthermore, Sisi recently attended a meeting with the National Council for Women (NCW) to discuss issues pertaining to women in which he was quoted saying, “You represent the mother, sister, wife and daughter, and your responsibility to society is very large.” Solidifying that Sisi’s vision for Egypt is not limited to a sector of society. With bombings and terrorist attacks occurring on a daily basis, one would most likely question the opposition party and the violence inducing Muslim Brotherhood, an organization recognized as a terrorist organization by several countries including Egypt, Russia and Saudi Arabia. Egypt’s national security threats and terrorist insurgencies are crippling Egypt’s progress towards democracy and freedom. Many Egyptians see in Sisi a ‘strongman’ needed to overcome the instability beset with Islamist-terrorist groups and to put an end to terrorism once and for all. With that being said, it is also appropriate to mention that the Sisi-Mania does pose dangers to Egypt’s future. Idolizing figures can only result in disappointment due to unrealistic expectations and biased judgment. It would not be in anyone’s benefit to create an image of Sisi and his abilities that are far from reality. Ultimately Sisi has proven to not only be a patriot who is devoted to protecting his country, but also to have a vision for Egypt. His actions prove that his presidential campaign is full of promise and potential. An Egypt under Sisi’s rule will not only have a place for our youth and working class, but also for our women and children. To read another opinion piece on why Sisi should not be Egypt’s next President, click here. I think it should be pointed out how Sisi and Morsi are so similar. Sisi is taking advantage of the nationalistic feelings that Egyptians have, just like how Morsi took advantage of Egyptians’ religious upbringings. Both have no experience in administrative and economic issues. Both claim to be anti-american, but both of them studied in American universities. 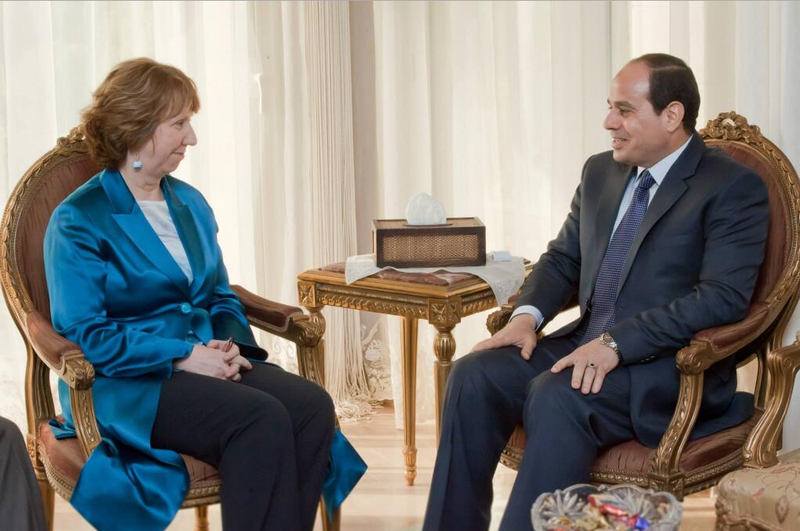 Both have no respect for women’s rights “You represent the mother, sister, wife and daughter, and your responsibility to society is very large.” This actually shows how Sisi supports that women should be confined to the home. Furthermore, I think a lot of people still need to learn that what EVERY single country needs is a secular pragmatic civilian to rule it. Therefore, Sabahi should be President! well i agree with you at many point(s) ..
– like he is popular guy and he have a lot of people who support him . but the head line itself i don’t agree with you , because you said yourself Egyptian paid a lot for democracy . and instead of start using it we shut down a lot of people(s) opinion . ( like the people who support the brotherhood ) . that doesn’t mean i support them but i am sure that they have the right to say their opinion with respect . anyway ( sorry for my poor English ) and good article indeed ..